1. 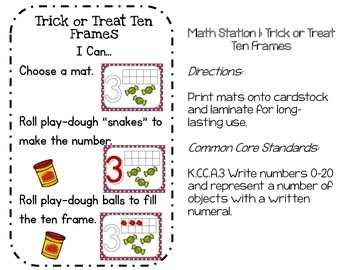 Trick or Treat Ten Frames: Play-dough number mats to reinforce fine motor skills, number recognition and number sense 1-10! 2. Boo Bump: Fun number recognition game for 1-6 or simple addition and subtraction! 3. 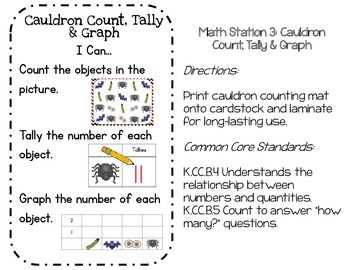 Cauldron Count, Tally & Graph: What's in the witch's brew? 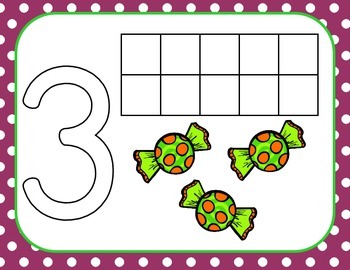 Practice counting and number representation skills and find out! 4. Find Frankenstein! : Practice reading #'s 1-100 in this fun pocket chart partner game! 5. Pumpkin Patch Patterns: Practice AB and ABC pattern recognition and production with this fun jack o'lanterns! 6. Ghosts in the Graveyard: This fun path game can be used with traditional dice or with special shape dice to reinforce shape recognition. 7. Candy Corn Count & Write the Room: Get your kinesthetic learners moving with this fun math write the room activity and practice number writing! 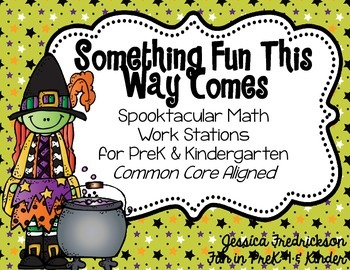 These activities are easy to differentiate to meet the needs of your class and are aligned to the common core. "I Can" charts are also included to support student independence. Download the preview to see even more examples! Enjoy! Feedback is always much appreciated!